Hello everyone, it’s time to take an author interview and today Author Karen Ann Smythe is with us. 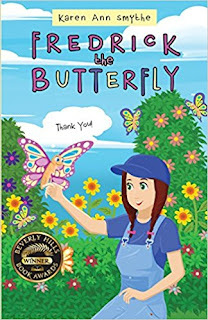 We are interviewing her for her book "Fredrick the Butterfly", which launched on March 10, 2017 by Christina Hicks Creative. A. My 1st book Fredrick The Butterfly -that Won an Award- was inspired to have children know that all living creatures have a life! Amazing what happened when my Family saved a Butterfly's life. Amazing! Plus how it is Fun to help people, You can give yourself a Hug, The Ocean is Alive + We are alive + that is Great! 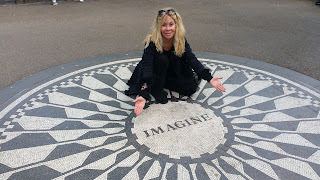 2nd book Amazing Adventures of Fredrick The Butterfly Plus Karen & Malibu was written to tell of lots of my True Life Adventures (which people have said would be great to read about)..Exciting + one scary part Lot of Inspiration! A.Both were Fun to write! Would say the hardest part was the editing. Making sure the ideas + stories flowed right. Lots of times while editing I would come up with a better idea in the middle of the night + would jump up and rewrite + change an idea or Word . That was also fun though to have it written with lots Variety! A.Laughter has no language ! To keep enjoying your life + to stay on the Bright side! Life is exciting + so is being kind + generous ..Trust yourself ..know where the Exit door is if you detect something.! Ha! A. To have knowledge + Fun + insight for Everyone! To give Love + Receive Love! Keep moving forward - We are all in the same situation! - Floating around up in the sky on this round thing with so many beautiful things + people..Fun, Fun, Fun! I am the First Girl born in my Family in 102 years..maybe that is a Secret Power...ha! A. My stories are True + Inspiration to write Came from excitement + wanting to share..So far both books are Loved! They say Everyone has a book in them! Write ideas down + it Will just Click! A. Do not think so..Could have without knowing it! My Dreams are for other people + myself to stay in the Light!!! , the Best You Can! A. Loved by Everyone who has read them so far! Fredrick The Butterfly is Up + Soaring !